UConn gifted education specialists have published the first study to demonstrate a link between student poverty, institutional poverty, and the lower identification rate of gifted low-income students. The study, “Disentangling the Roles of Institutional and Individual Poverty in the Identification of Gifted Students,” was published in the journal Gifted Child Quarterly. Researchers found that students eligible for free or reduced lunch programs are less likely to be identified for gifted education services even after controlling for prior math and reading achievement scores. In addition, the findings indicated that students in low-income schools have a further reduced possibility of being identified for gifted services. The study reviewed data of 330,531 students in three unidentified states who entered third grade in 2011 and finished fifth grade in 2014, the grade levels where standardized testing typically begins and initial identification of gifted students often occurs. Students in the sample attended 4,546 schools covering 367 school districts in three states with mandates for gifted education. The study found that poverty measured by the percentage of students in free or reduced lunch programs related to the school’s gifted identification rate. In two of the three states evaluated in the study, the percentage of students in the lunch program negatively predicted the proportion of gifted students in the school, even after controlling for school and district reading and math achievement. In the third state, although a school’s percentage of free or reduced lunch student population did not predict the percentage of gifted students after controlling for school reading and math achievement, the proportion of students in the lunch program throughout a district did predict a lower proportion of gifted students in the school. “These findings suggest that both institutional poverty and individual poverty help to explain elements of underrepresentation of students in programs for the gifted,” the researchers wrote. • A resource allocation formula that ensures all high-potential students regardless of their school context can access gifted programming. • Utilization of school-based norms to guide identification decisions by school districts rather than district-based standards. • Implementation of universal screening programs. • Adoption of state policies that would help equitably distribute resources, especially to low-income schools to ensure that schools and districts can comply with gifted-related mandates. McCoach says the findings suggest that school districts may identify specific schools that usually have gifted students, and focus gifted education resources only on the highest-achieving or wealthiest schools. Instead, districts should focus on developing the talents of the highest-achieving students within each of its schools. NCRGE was launched in 2014 with funding authorized through the Jacob K. Javits Gifted and Talented Students Education Act. Center staff who were authors of this study include UConn researchers Hamilton and McCoach; Del Siegle, professor in gifted and talented education and associate dean for research and faculty affairs in the Neag School; and E. Jean Gubbins, professor of educational psychology. The research team on the study also included M. Shane Tutwiler, assistant professor of educational foundations at the University of Rhode Island; Carolyn M. Callahan, professor of education, and Annalissa Brodersen, research associate, both from the University of Virginia; and Rachel U. Mun, assistant professor of educational psychology at University of North Texas. The research was funded by the Javits Act, which is administered by the U.S. Department of Education Institute of Education Sciences. 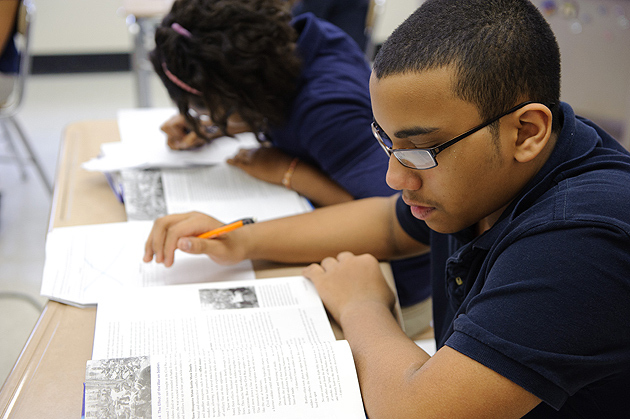 Columbus Dispatch Income, race big factors in rates of gifted students here, across U.S.